This book was brilliant. 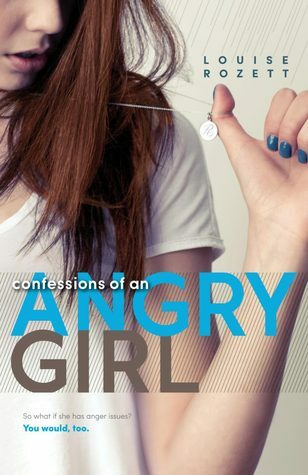 This is a teenaged girl with issues, and I love how real she was, how real she was written and came across on the page. This is exactly how I would picture a girl being and thinking after having suffered some of the issues that Rose has in such a short time. There's anger there, certainly, but also plenty of hurt that's hidden underneath. Rose was such a raw character, and her narrative so honest, open, and unfiltered. Despite that some of the her thoughts aren't great, you just have to love her just as she is. Sometimes it's great to see a character with no filter on either thought or word or deed. It made her so three-dimensional that I could see myself in her, and I could see friends that I had, and even my own teenage daughter. Her negative feelings weren't great, but they made her so real. Jamie is the silent, mysterious type. I never knew what he was thinking. Does he really like? Is he using her? Are all the rumors of his feelings about her true? You just never know completely. Despite this, I liked him too. What little you're able to get to know about him makes you like him. You know he's hiding his own issues, and you care about him for them. Plus you also have to like him for the times he stood up for Rose. The ending was somewhat of a cliffhanger as, surprisingly, there is going to be a sequel. I was pleasantly surprised to discover that, so we'll have an opportunity to spend some more time with Rose and Jamie. I loved the writing in this story. It kept me engrossed from page 1 and the pacing kept me flipping pages. I felt like I was truly there and really knew the people involved. I love it when an author is able to make me really care about her characters.